From a Tuscan villa tucked away in the Chianti wine region, to a country house hotel in the Malvern Hills serving only the finest local ingredients, here is our selection of top gourmet hotel breaks in the UK and abroad. With fabulous food, peaceful surroundings, friendly staff and a quiet village location in the Malvern Hills, Colwall Park boasts the well-known Seasons Restaurant. 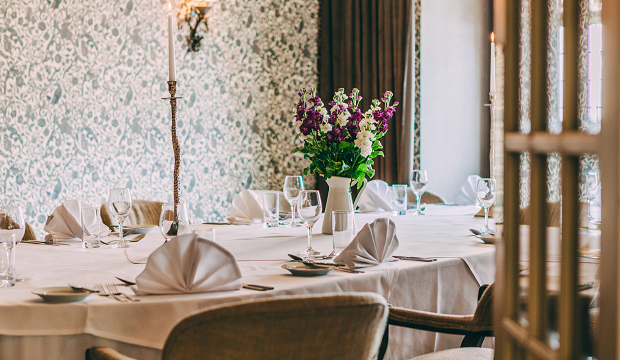 Featured in the Michelin and Good Food guides, and awarded with 2 AA Rosettes, Seasons at Colwall Park offers a varied menu using only the finest fresh local ingredients. 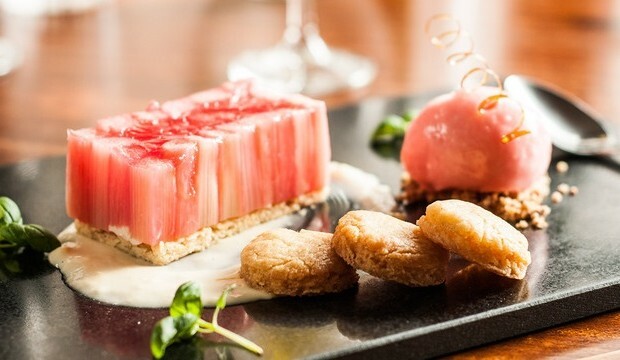 The food served at the quaint oak-panelled restaurant is best described as classic modern British with a twist, and was recently bestowed with the Birmingham Post prestigious Restaurant award. The location is ideal for exploring the Malvern hills with Worcester, Great Malvern and British camp nearby. You can even walk out behind the hotel and straight into the hills. All things considered, this place deserves the top of our list for its unique and relaxing rural atmosphere, tasty food and excellent value. Good to know: Double rooms start at £105 including breakfast. Main course prices range from £12 for Sage Gnocchi to £23 for Lamb. Italian cuisine is debatably the world’s best cuisine, and if there is a place in Italy that is practically synonymous with world bests, it’s Chianti, in Tuscany. Deep within the heart of the famous wine region and halfway between the towns of Florence and Siena, lies Relais Vignale, a 4 star Tuscan hotel. The hotel is beautifully decorated in a rustic romantic style, and its in-house restaurant is the perfect resting place after a day of sightseeing. 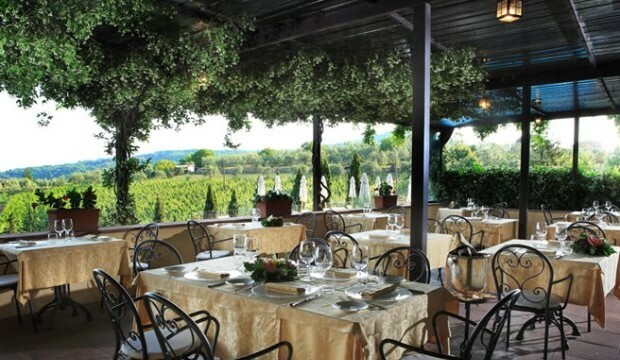 You can choose to have your meal inside or on the terrace, overlooking the beautiful Tuscan hills. The menu consists of good authentic Italian dishes including a range of home made fresh pastas. And just in case you’re feeling up to it, the hotel also provides Tuscan cooking classes with the chef! Good to know: Double rooms start at £95/€111 including breakfast. Cooking classes start from €140 per person, minimum 2 people, booked directly at the hotel. Rumour has it that Charles I once visited the original site at Peterstone Court. Today this handsome piece of Georgian architecture houses a fine country house hotel, restaurant and Spa. Chic and distinctive in its style, the 3 star hotel remains loyal to its Georgian heritage, but compliments the old, with relaxed funky details and modern touches. As for the food, it is best described as British modern sourced in season. Most of the meat and poultry on the menus comes from the hotel’s own family farm just seven miles down the road. Outside the restaurant features a wonderful, spacious terrace overlooking the beautiful valley below. Good to know: Double rooms start at £105 including breakfast. A 3-course set Lunch menu is priced at £20. The 5 star Coopmanhuijs Boutique Hotel is located in Stellenbosch, at the heart of the famous wine route in South Africa’s Western Cape. 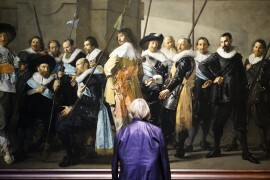 Housed in a neo-Georgian grand residence dating from the 1700s, Coopmanhuijs provides guests with a perfect sense of the history and charm of a bygone era. As for the food, Helena’s restaurant, the in-house restaurant, is one of the best in Stellenbosch and is particularly famed for serving heritage cuisine with a modern twist. You can expect inspiring dishes such as strawberry and biltong salad, or apple and Cape gooseberry crumble with fresh rosemary. A worthy gourmet break indeed. Good to know: Double rooms from £136/ZAR2,590. Main courses range from ZAR 85 for a salad to ZAR 265 for a lobster dish. The Five Arrows is a quaint Victorian house standing near the gates of the majestic Waddesdon Manor, close to Aylesbury, Buckinghamshire. The 4 star hotel is full of old-world charm, including the guest rooms which feature original furniture from Waddesdon Manor. 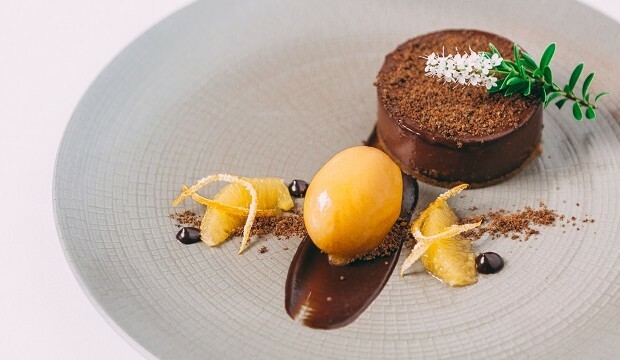 At the 2 AA rosette restaurant, lunch or dinner is a rather relaxed and informal experience. Vegetarian dishes are always included and there is a tempting choice of puddings and homemade ice creams. 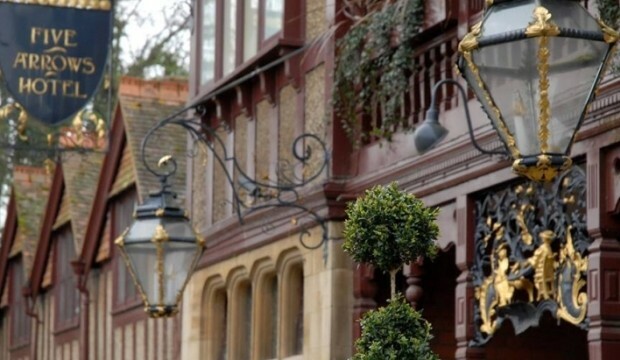 But the cherry on top has got to be the extensive wine list, which includes some Rothschild wines (Waddesdon has been in the Rothschild family for several generations), also served by the glass, and all very reasonably priced. Good to know: Double rooms from £123 including breakfast. A 3-course Lunch menu is priced at £19.95. Ready for a Gourmet Break? For other locations browse our collection of Gourmet Hotels. Gourmet Break packages including stay + meal are available at most of our hotels when you book a minimum of 2 nights. Book online or call our travel experts at +44(0)20 3699 9936 from the UK and Ireland. When calling from another country click here. Prices were correct at time of writing and may be subject to availability.